Bordering Rocky Mountain National Park - A Hikers Paradise. We are 3 miles southwest of downtown Estes Park - close enough to enjoy the diverse activities, yet SECLUDED enough to "get away from it all." We are open year round for your Rocky Mountain experience. Singles, couples and families are welcome. We offer studio and one Bedroom cottages in two of our 3-plexes. 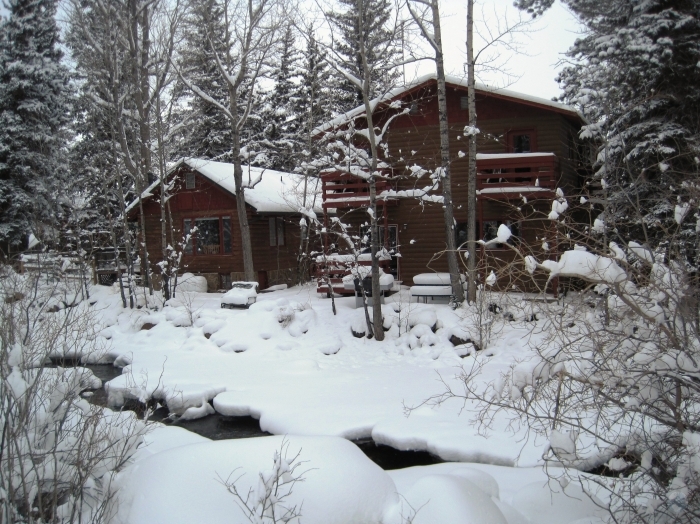 Our two story lodge has 4 small units and 2 larger units. Three of our cottages do not have TV. 8 of our units have cooking facilities, the other 4 have microwaves, coffee makers and small refrigerators. 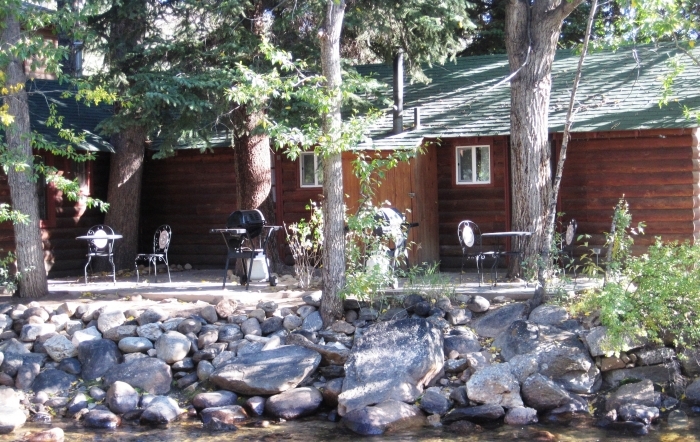 We have BBQ grills, picnic area, play area and an outdoor Hot Tub with an amazing view upstream. 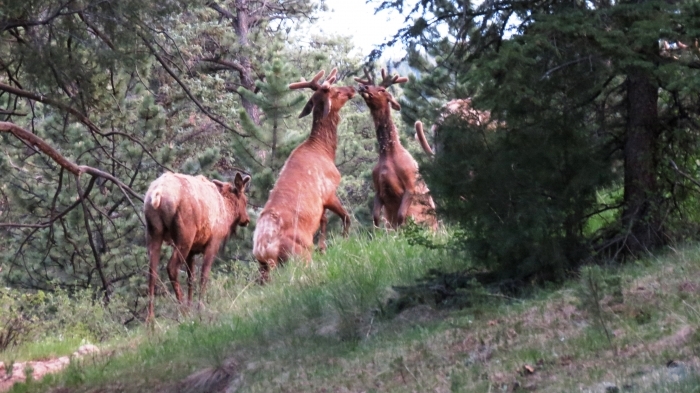 Enjoy viewing the abundant wildlife during your stay. 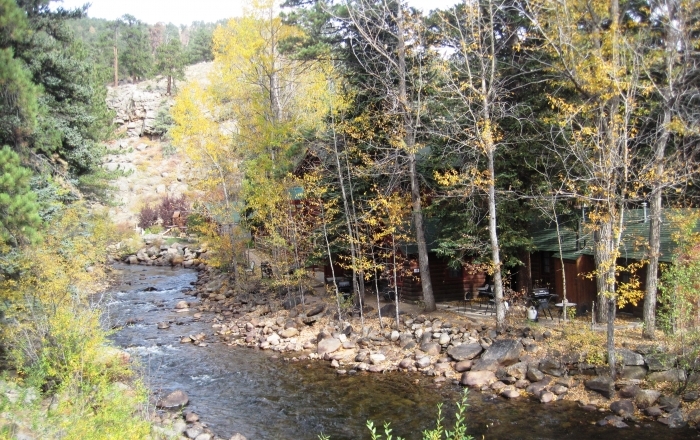 Fishing can be enjoyed just feet from your door or begin your Rocky Mountain National Park hiking / snowshoe journey 300 yards from our property. There is a trail that leads to Moraine Park and beyond. In season, catch the RMNP shuttle just 1 mile up the trail. Plan ahead for an unforgettable vacation or get-a-way. Experience a Thanksgiving or Christmas holiday in a winter wonderland. 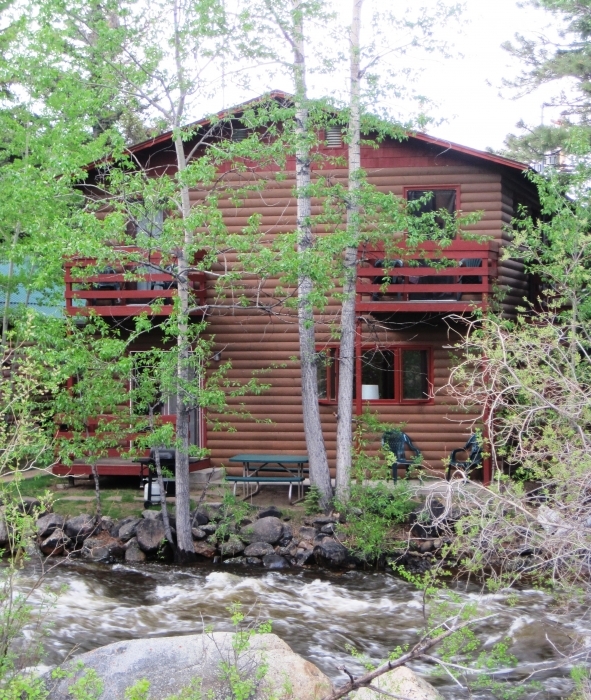 Anytime of year, the SWIFTCURRENT LODGE is here to ensure an absolutely wonderful experience. Gift Certificates also available.